It must be spring! Well almost, these trays are still coming in the house at night since it's been below freezing. 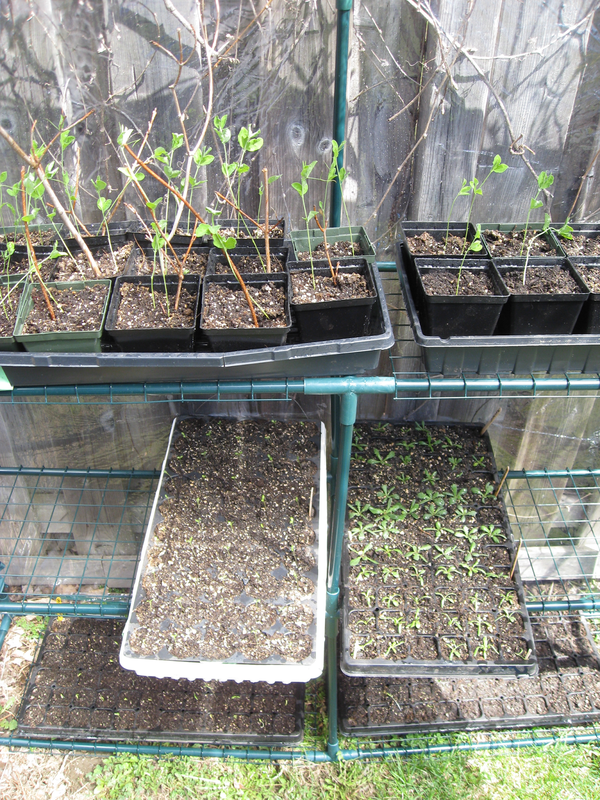 Hopefully I can get those sweet peas in the ground soon because they are getting too tall for their pots.